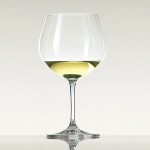 Riedel Vinum Montrachet/Chardonnay Set of 2 (P/N 6416/97). 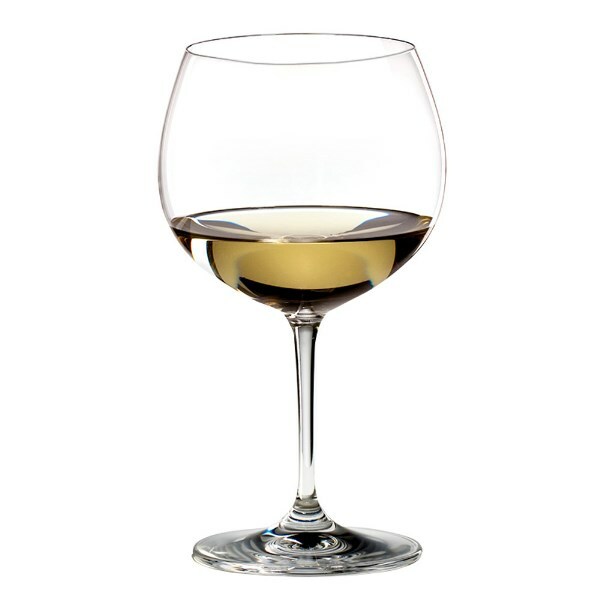 A spherical bowl distinguishes this version from the typically narrow version for Chardonnay bowl. This works especially well for oaked Chardonnays. The finesse, power, and richness of Montrachet come through thanks to Riedel's intensely scientific design. A spacious globe captures the perfume, expanding it before it reaches the nose. The nearly perfect sphere of the bowl is aesthetically pleasing as well as functional. Slightly smaller and less expensive than the Vinum XL Montrachet/Chardonnay glass -but still gives you plenty of room to swirl. 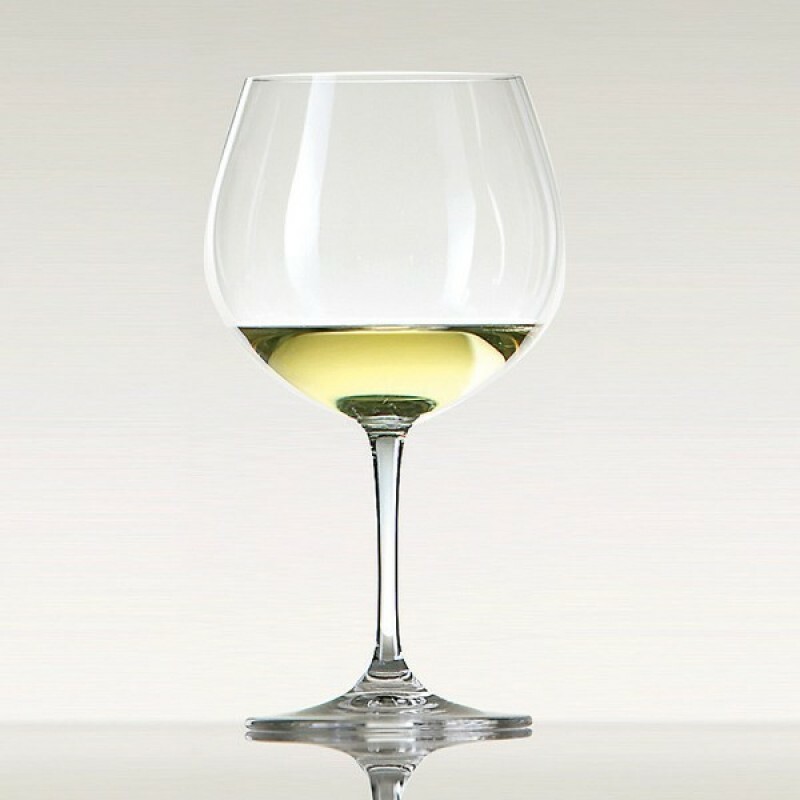 Riedel is the top-selling brand of fine crystal stemware at many major retailers. 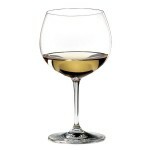 Less than half the price of Riedel's Sommelier Chardonnay glass. Vinum Montrachet/Chardonnay wine glasses are designed based on the characteristics of the Pinot Noir varietal.